A review of Rachelle Brady's latest art work can reveal a lot about this energetic artist’s life and passions - From her bold use of colour and palette knife work in her landscapes and trees to her impressionist rendered florals with soft, more subtle colors. Born and raised in Calgary, AB, Rachelle Brady started drawing and painting from an early age using watercolour and acrylic. If there was a class or subject that delighted her the most it was always art. At every opportunity she would take drawing and painting lessons with other friends and acquaintances. After graduating from high school she kept up her hobby, at the time,receiving art instruction through local studios. Rachelle began to paint full-time in 2005. Continuing to keep herself immersed in the art community she regularly surrounds herself with other artists and takes in demos and workshops on a regular basis. Her favorite place to paint though is her home studio where she has been able to develop her own style and technique, which has taken her to new dimensions. 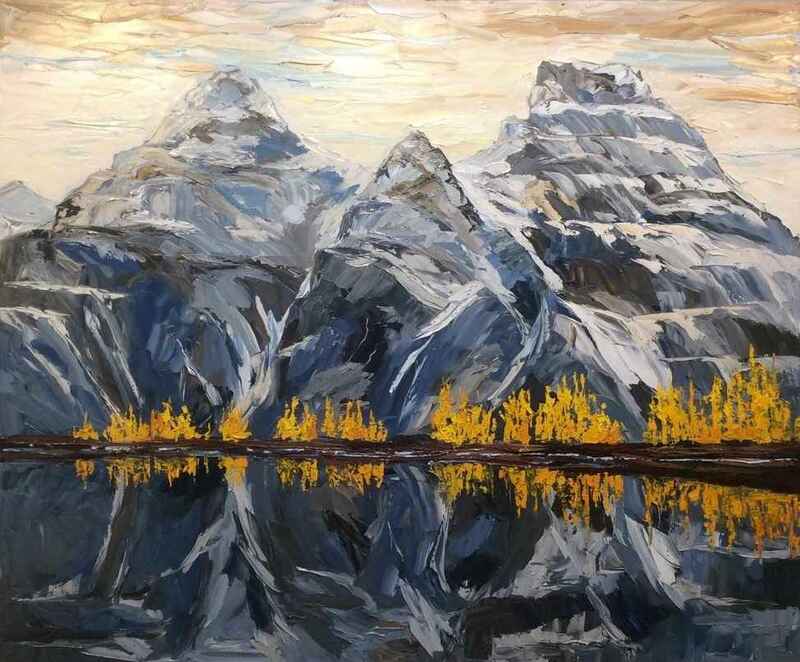 Her method is oil on canvas, mainly through the use of highly textured palette knife work. Rachelle and her husband love to travel, from right here in North America to Europe and South America. As avid outdoor enthusiasts they can be found hiking, biking, and skiing in the Canadian Rockies throughout the year. These opportunities provide a vast array of inspiration that is reflected in her paintings.